Dalia Martinez, speaks to members of the Logistics & Manufacturing Association and other guests at IBC Bank Community Suite. IBC Bank Executive Vice President Dalia Martinez spoke at a networking and membership breakfast for the Logistics & Manufacturing Association (LMA) of Laredo members commemorating International Women's Day and Women's History Month. 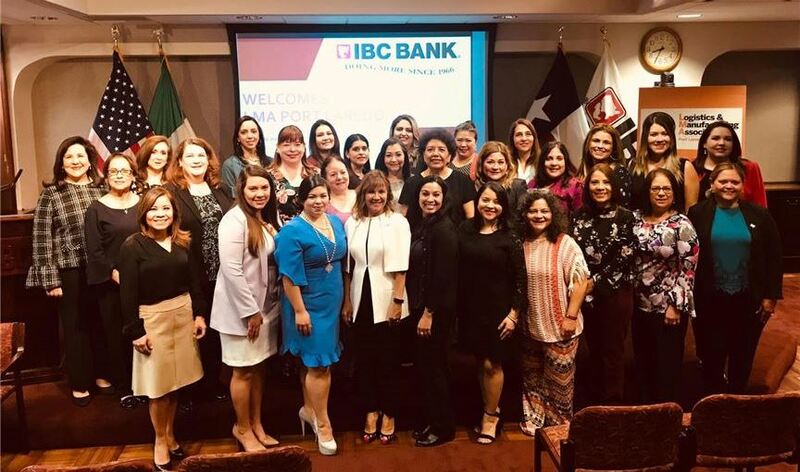 Martinez offered insight into her personal journey from Robstown, Texas to the C-Suite of IBC Main Bank and shared her thoughts on the importance of diversity and inclusion in the workplace. She also stressed the need for mentorship among women across all industries. A long-standing operative of IBC Bank's senior executive management team, Martinez has over 35 years of banking expertise in both personal and commercial finance with more than 20 years dedicated to border banking. Currently, Martinez serves as the bank's Executive Vice President of Operations, Chief Executive Compliance Officer and Corporate Bank Secrecy Act Officer.